The Galaxy Ace is reborn, but how does it match up to the original? Exceeding expectation on multiple fronts, the second-generation would be a wise buy for any first time or returning smartphone owner. 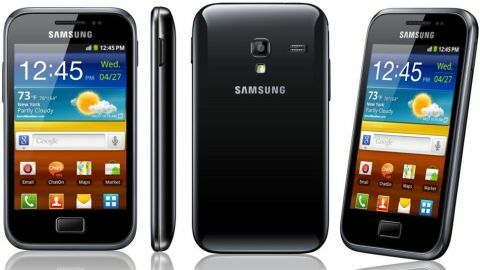 Adding to its expansive collection of Galaxy-branded, Android-filled smartphones, Samsung has reignited its Galaxy Ace sub-franchise with the Samsung Galaxy Ace 2 tackling the space between the collection of dedicated entry-level and mid-market handsets. With a price point that is neither overtly friendly on the wallet or aspirationally expensive, the Samsung Galaxy Ace 2 bridges the defined boundaries of the smartphone market, featuring a number of notable improvements over its predecessor whilst failing to match the collection of ground-breaking and genre defining specs as its Galaxy S3 branded sibling. Joining the likes of the Orange San Diego, HTC One V and Nokia Lumia 710 in this no-mans-land of the mobile market, the Galaxy Ace 2 has got a lot to do if it's to stand out from the crowd. It's now available for £160 on a number of PAYG deals, making it an attractive proposition for many. However, it's still facing competition from its ultra-cheap predecessor, so is there enough technology on offer here? A well rounded, impressive little handset, the Samsung Galaxy Ace 2 plays host to a largely appealing 3.8-inch WVGA TFT capacitive touchscreen display with an 800 x 480 image resolution that is pleasant on the eye despite failing to set the device apart from a number of its upper-end competitors. Slotting this display into an aesthetically pleasing, albeit largely plastic, design, the second-generation Galaxy Ace has slimmed down with a strong construction that makes the device as impressive in the hand as it is on the eye. Disappointingly, despite being unveiled and coming to market long after the arrival of Android 4.0, Samsung has opted to omit the use of Google's Ice Cream Sandwich OS in favour of the heavily tried and repeatedly tested Android 2.3 Gingerbread offering that featured on the handset's now dated prelude, the original Samsung Galaxy Ace. Whilst the use of a repeatedly replaced operating system shows that the Galaxy Ace 2 is far from the perfect smartphone offering, the compact device plays host to a number of spec updates that help it on the road to redemption and which give it an edge over a number of devices that sport far loftier price tags. And here's some even better news: the Samsung Galaxy Ace 2 is going to be one of the range of phones that the Korean brand is going to be updating to Android 4.1.2, or Android Jelly Bean to you and me. This means an improved camera, faster innards and an improved user interface are all on the way, and will placate those hoards of users that took umbrage at being told they were never going to get their hands on the Ice Cream Sandwich update. The new version of Android won't be launching until at least Q1 2013, and we'll fully update this review when we get our hands on the new version of the software... but at least you can buy it confident in the knowledge it's not going to be left out in the cold. Coming for a general all-round overhaul, the Galaxy Ace 2 has been bumped to an 800MHz dual-core processor from a similar speed single-core offering whilst the handset's RAM offering has made the jump from 278MB to a far more respectable 768MB. As fun as it is functional, the Ace 2 is far from bereft of redeeming qualities on an entertainment front as the handset sees Samsung pair a 5-megapixel rear-mounted camera with autofocus capabilities and integrated LED flash features. On top of this, the device plays host to improved, 720p HD video recording capabilities that see the handset settled firmly in the mid-market sector. A second, VGA, snapper also feature's on the device's fore. Lining up at a comfortable 122g in weight and just 10.5mm thick, the latest addition to the Galaxy range of Samsung smartphones sees 4GB of internal storage expanded via microSD compatibility, whilst the standard collection of 3G, Wi-Fi and Bluetooth connectivity options are further bolstered by GPS and HSDPA offerings. As impressive in reality as it is on paper, those looking to make use of the Ace 2 will be further pleased by the device's appealing price tag with the handset available now for free on a selection of pay monthly contracts. Those looking to pick the handset up on a SIM-free pay-as-you-go basis will be able to do so for a now-fair-whack-under the £200 marker, a price that sees the Ace 2 easy trump a number of its rivals on the cost front. Despite the Samsung Galaxy Ace 2 increasing in screen size over the first-generation model, making the jump from 3.5-inches to 3.8-inches, the Ace 2 is impressively 1mm slimmer than its counterpart, dropping down to a relatively svelte 10.5mm at its thickest point. Although the handset features a largely plastic construct, the Galaxy Ace 2 is a surprising sturdy and well put together device, offering little unwanted flex or creaking when placed under considerable amounts of stress. As pleasing as the Ace 2's design is, it is far from unique, sharing a number of characteristics with many of Samsung's most recent Android powered devices with a large, rectangular home button dominating the device's face. These familiarities aren't necessarily a bad thing; however, with the Ace 2's smoothly curved edges and slim form factor creating a device that is extremely comfortable in the hand as well as remaining of an eye-catching nature. One design feature that has unfortunately made the jump to the Ace 2 is the Samsung Galaxy standard flimsy and fragile back panel. Offering little reassurance when being removed, the scarily thin component leaves you nervous of snapping when being removed to access the SIM, microSD and battery. As well as increasing in size, the Galaxy Ace 2 has added weight when compared to its predecessor, although only marginally. Despite adding 9g of weight compared with the original Galaxy Ace model, the Ace 2, which weighs a reasonable 122g, is a reassuring device to hold, not so heavy as to feel uncomfortable but sturdy enough to act as a confidence boosting weight in the hand. With a rounded-edged finish, the Ace 2 is ergonomically designed to fit comfortably in the hand with the slightly textured back panel offering a small, but hugely reassuring amount of additional grip that will stave off accidental drops and slips. With little to take away from the handset's seamless and curvaceous form factor, the near mid-market device features just three physical controls with the standard sleep turn power button lining up alongside the equally familiar volume up and volume down options. Although the volume controls are located in an area prone to accidental presses from errant fingers and thumbs when held in either a standard right and left handed manner, the buttons are reassuringly stiff enough so as not to cause concern. Further maintaining the handset's untarnished form, the essential microUSB charging dock connector and 3.5mm audio jack port are the only blemishes on an otherwise impeccable finish.